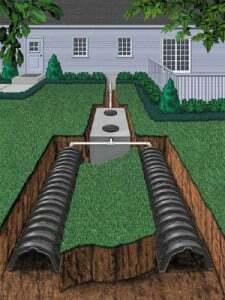 In many rural and suburban areas, local NJ homes and businesses use septic systems to dispose of wastewater, rather than relying on a municipal sewer system. The septic tank is a core component of the septic system that provides a place for anaerobic bacteria to break down waste safely. Over time, septic tanks can break due to corrosion from sulfuric acid generated by bacterial metabolic processes. Eventually, it will become damaged enough that you’ll need to call a local NJ plumber about septic tank replacement. 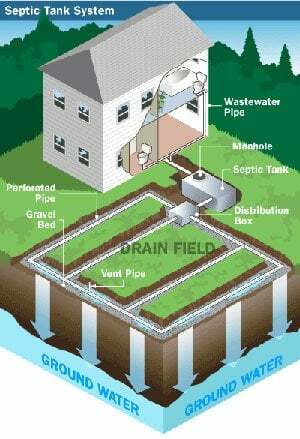 At A1 Sewer & Drain Services, we offer septic tank repair and septic tank replacement throughout northern NJ. Call us any time to find out more. Septic tank problems can result from a number of factors. Some of them are accidentally caused by homeowners, while others are difficult to avoid. Disposing of cooking oils and grease in sink drains. Just like sewer main lines, septic tanks can clog up from lipids like cooking oil. Flusing non-degradable waste in toilets. Items like paper towels, cigarette butts, and feminine products don’t break down easily when exposed to water. Septic tank damage from chemicals. Many pesticides and herbicides can damage or corrode a septic tank. Caustic materials like bleach, along with many paints and solvents, can also damage the septic tank. Tree roots in septic tank pipes. 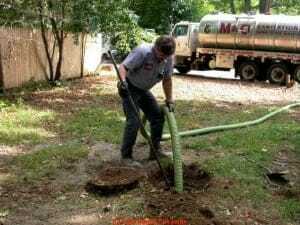 Tree roots can grow into the septic tank pipes, clogging or breaking them and potentially causing sewer backflow. Plumbing leaks. 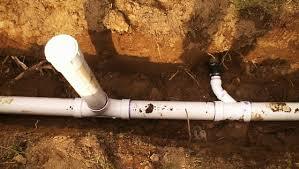 Leaking pipes can allow rainwater to flood into the septic tank and drainfield, causing damage. 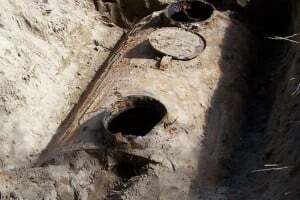 Septic tank corrosion and deterioration. 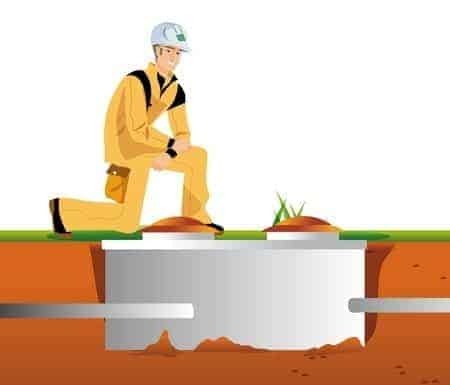 Over time, the septic tank can deteriorate from ongoing corrosion, which occurs after years of exposure to gases produced by bacteria. Corrosion damage usually requires septic tank replacement from a local plumbing company. Winter soil conditions. 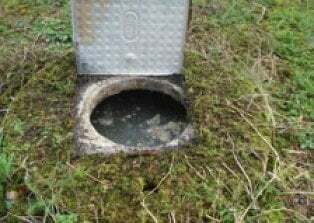 During the winter, the water table can rise higher than usual, potentially causing water to back up into the septic tank instead of draining out. Septic tanks are prone to corrosion, giving them a limited lifespan. Septic tanks provide a prime location for anaerobic bacteria, which don’t require oxygen to survive, to break down waste materials. As a byproduct of their metabolism, they release chemical substances that damage concrete and metal septic tanks. This includes hydrogen sulfide, the gas responsible for the distinctive smell of rotten eggs. Through a chain of chemical reactions, the hydrogen sulfide is converted into sulfuric acid, which is highly caustic and corrosive. Over time, the sulfuric acid builds up and eats away at the walls of the septic tank. Eventually, this creates the need for septic tank replacement. A broken septic tank can cause a lot of problems with your household plumbing, similar to a broken or damaged sewer line. Drains back up, and you can end up with sewer backflow into your home. At A1 Sewer & Drain Services, we offer septic tank repair and septic tank replacement services in north NJ as well as sewer repair services. Call us today to find out more, at 201-645-0888.